The A350 XWB can seat between 300-400+ and powered by Rolls-Royce engines has a maximum range of 9,700 nm, depening on model. See also: Exclusive HD video interview with Steve Chang, Senior Vice President of China Airlines. 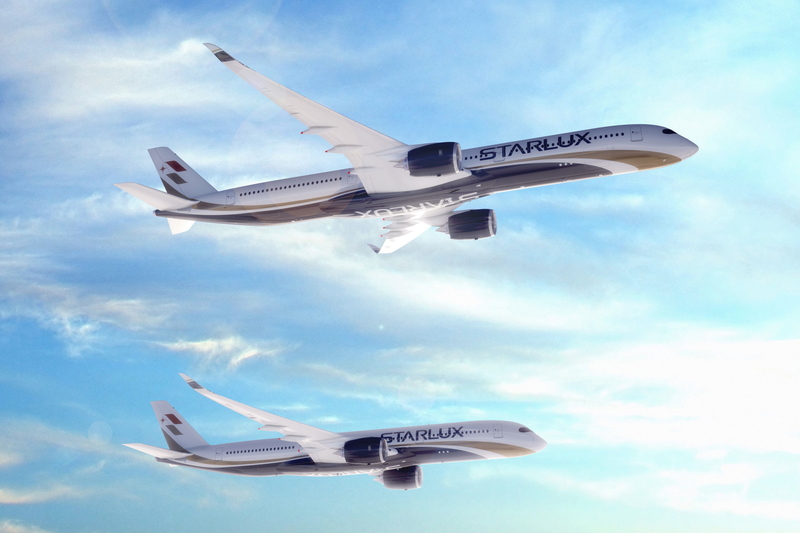 See latest HD Video Interviews, Podcasts and other news regarding: Starlux, Taiwan, Airbus.